Business Website: "Do Business on the Web"
Products pages and/or Services pages. Downloadable Users Guides, Brochures, and Data Sheets. Shopping Cart w/"Buy Now Buttons". Employment page (w/Online Job Application). All web pages include intuitive navigation structures that ensure that any information in the site can be accessed in two mouse clicks or less. Company name, logo, and tag line. Menu, TreeView, and/or SiteMapPath navigation bars. Page background with optional watermark. Page footer that includes copyright notices. 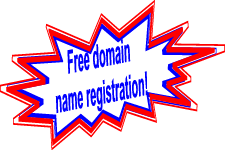 Free domain name registration and setup (normally a $50)*. Two months free web hosting services. Two months free 24x7 Webmaster Management Services. Free consulting and technical support for web-related networking components including DSL routers, cable modems, Ethernet switches. Free setup for up to 25 Email accounts. Please click the following link button to get a free, no-obligation quote. Offer valid for one (1) free, 1-year new .com, .net, or .org domain name registration. Offer not valid on domain renewals or transfers. jhbarnes.com cannot assure domain name availability. Domain name registration orders are subject to GoDaddy.com domain name registration terms and conditions.